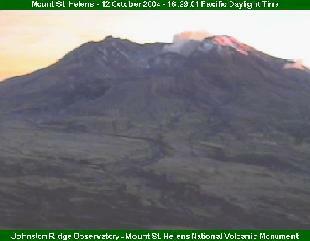 Sunset tints the steam cloud and throws the lava dome into shadow. From the Mt. St. Helens cam.